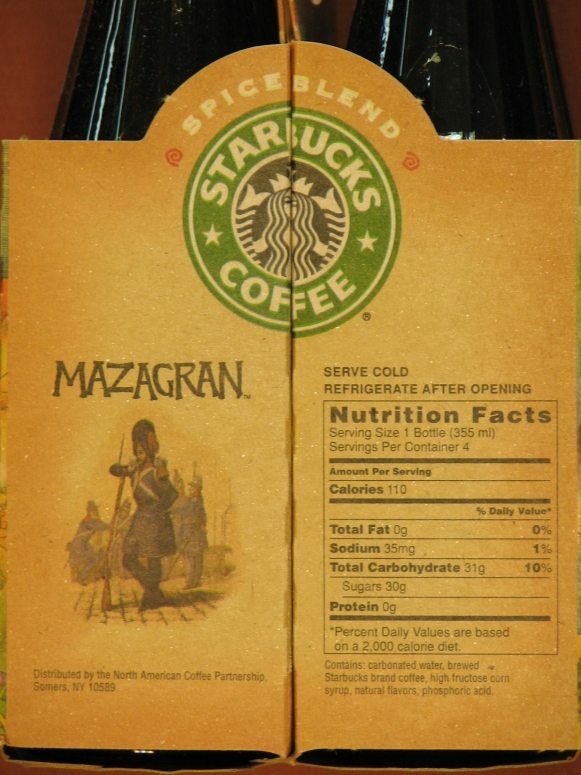 Fifteen to sixteen years ago, Starbucks launched a bottled beverage called Mazagran. 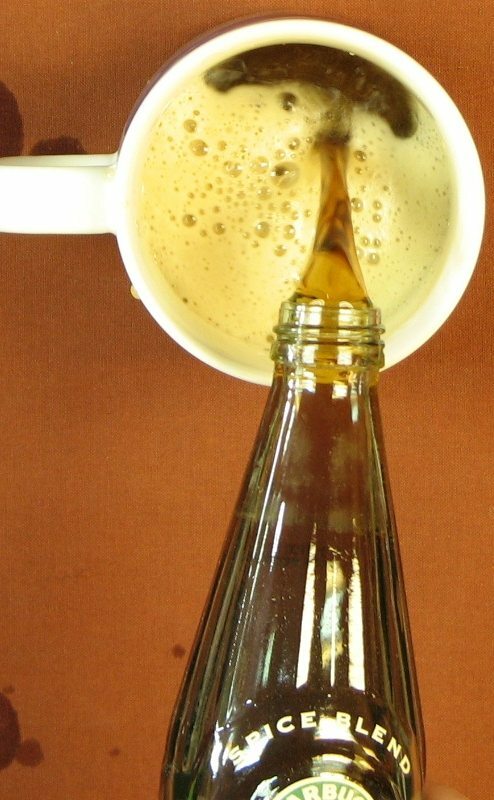 Through a partnership with Pepsi, they sold a bottled coffee soda in grocery stores. 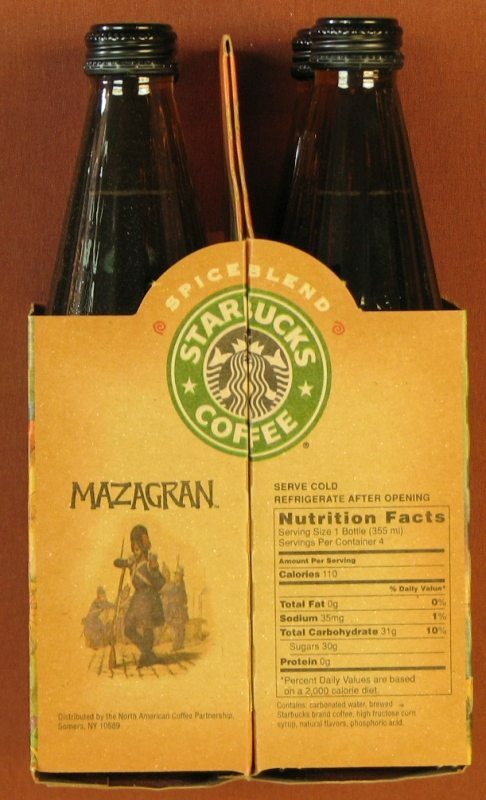 The “Mazagran Spice Blend” soda was the very first attempt at a joint venture between Pepsi and Starbucks, and, it was a complete failure. One interesting note: in many ways it was a small stepping stone on the way to the huge success of the bottled Frappuccino. 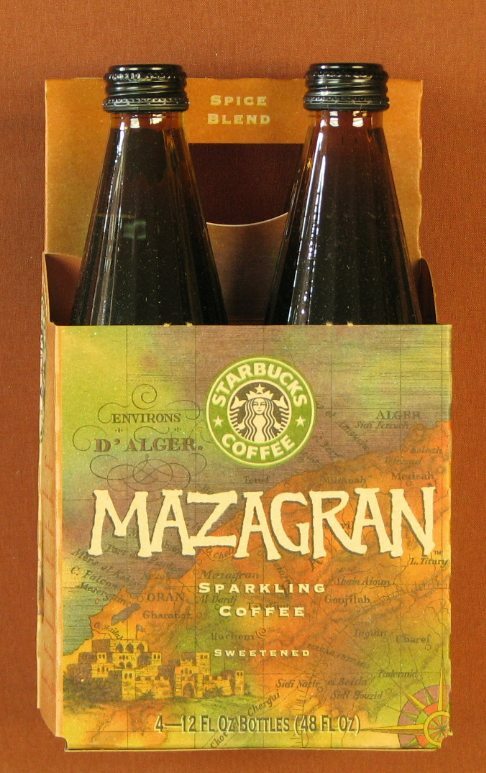 Mazagran was a cold, lightly carbonated coffee drink with a name borrowed from the French Foreign Legion posted in Algeria in the ninteenth century. When we test-marketed it in southern California in 1994, it polarized people. Some loved it, others hated it. 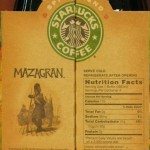 A lot of customers were willing to give it a try because of the Starbucks brand name, but Mazagran didn’t get the repeat business we had hoped for. We finally realized, with disappointment, the we had created a niche product, one that would catch on, if at all, only after a slow build. So we kept pushing until, in 1995, we found a better approach. Frappuccino had been a surprise hit that summer, drawing in tens of thousands of customers who were not normally coffee drinkers, filling our stores in afternoons and in hot months when the coffee business is usually slow. 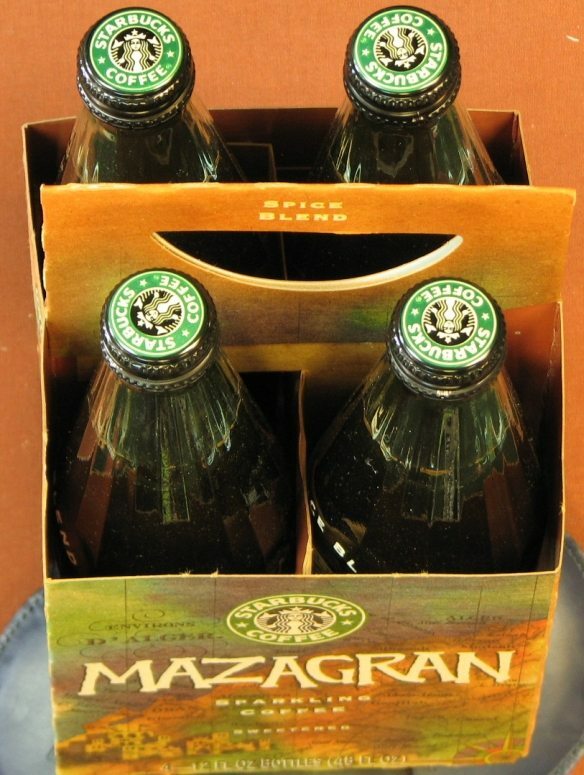 One day, in the midst of an agonizing discussion about the future of Mazagran, I said: “Why not develop a bottled version of Frappuccino?” The Pepsi executives were immediately enthusiastic. 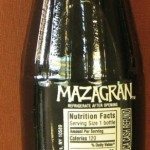 From what I recall hearing (though I can’t even tell you where I heard this), I believe that Mazagran was first tested in California as a beverage on tap, not in a bottle, and then released nationwide as the bottled version. Quite recently, I took a quick drive to Renton, Washington, because I was responding to a Craig’s list advertisment of a woman who stated she had a large number of old Starbucks items in her garage that she was trying to get rid of. I left Renton with a couple of trinkets, an old mug, an Air Force Bearista bear, and a case of unopened Marzagran. You can’t really see it from the photos here, but each bottle is labeled with an expiration date of October 7, 1996. Despite this, Molly (my photographer help at Seattle Custom Framing) and I decided to open up a bottle and try it. Much to my shock, when I twisted open the bottle I heard the distinctive fizz sound of carbonation being released. The smell from the bottle wasn’t all that pleasant. It was sort of the strange odor of burnt coffee, like the smell of coffee that has been on the Mr. Coffee burner a bit too long. We poured the soda in a mug she happened to have handy, and gave it a try. It still bubbled up fine. Here was the surprise. It tasted fine. Well, we both liked it. In all honesty, if someone had served me this drink in their home, over ice, I would have had no clue that it was a 15 year old bottle. I would likely have just drank it. 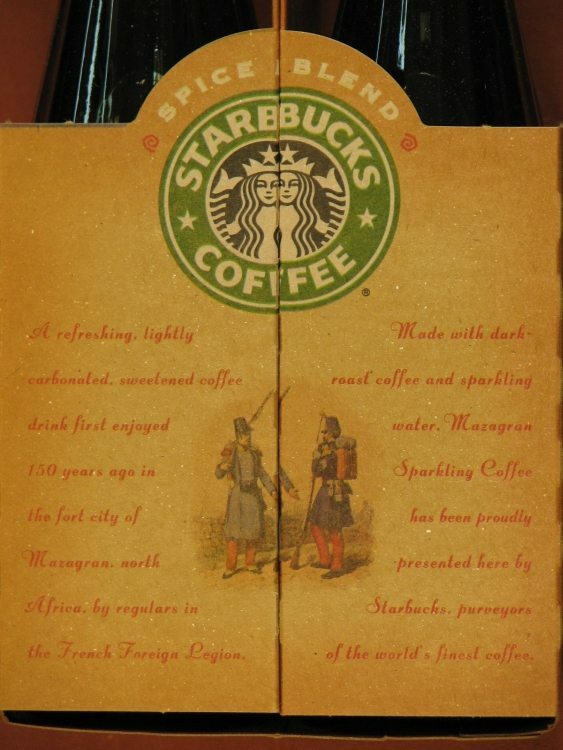 However, warm, straight from a bottle, is not really the way to enjoy 15 year-old Starbucks Mazagran. 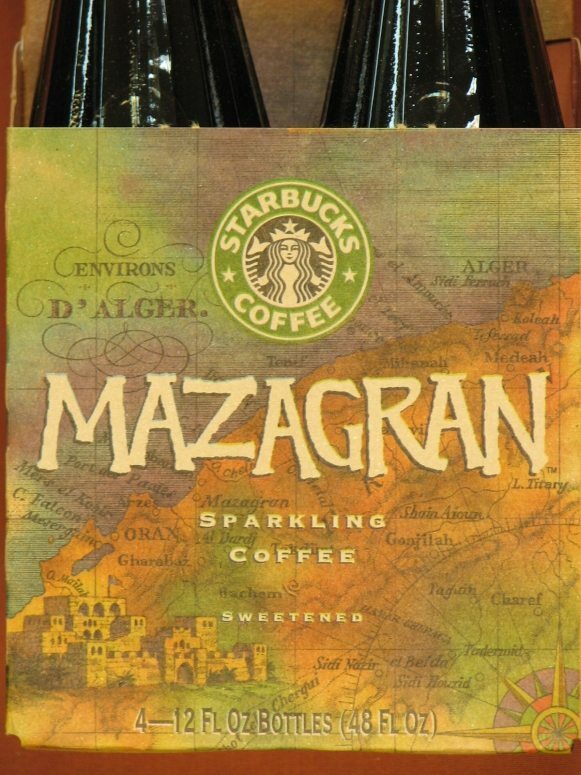 Hope you enjoyed your Starbucks history lesson: The first product produced by a Starbucks and Pepsi partnership: Mazagran. 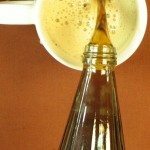 For readers at home, since you don’t have the pleasure of drinking 15 year-old coffee soda, I recommend that you try Iced Via mixed with carbonated water, if you’re now craving a coffee soda as a result of this blog post. #tbt The Starbucks Freshly-Roasted Coffee Delivery Truck! 5 Great Quotes From Starbucks CEO Howard Schultz. To know where you’re going, you have to know where you came from. I loved Lemon Knots and still miss them! Starbucks used to buy them from a baker in Evanston, IL. They had grown their business to accommodate large orders from Starbucks, and when they stopped selling them, the bakery eventually went out of business. You can buy them now at Whole Foods, but I wish that Starbucks still supported small, family run businesses. I’m still searching for a recipe to make them myself. to ‘chicagoan’: You can stiill find carmelitas and lemon knots in Food Stuffs, on Central St in Evanston…a few doors down from Sbux! That Central St Sbux was really my main one for yrs., because I worked at the hospital. I’ve also found recipes, especially for lemon knots, online. Google them, you’ll find one. Well, actually this kind of beverage is still nowdays popular in the south of italy (Calabria specially) as ‘Brasilena’ and yes is best served chilled in summertime. Sorry only the italian page is available, but seems that they started exporting in US. I’m afraid S&P just took on the idea since is known that since early 1900 in south italy they used to produce this coffe with gas…. 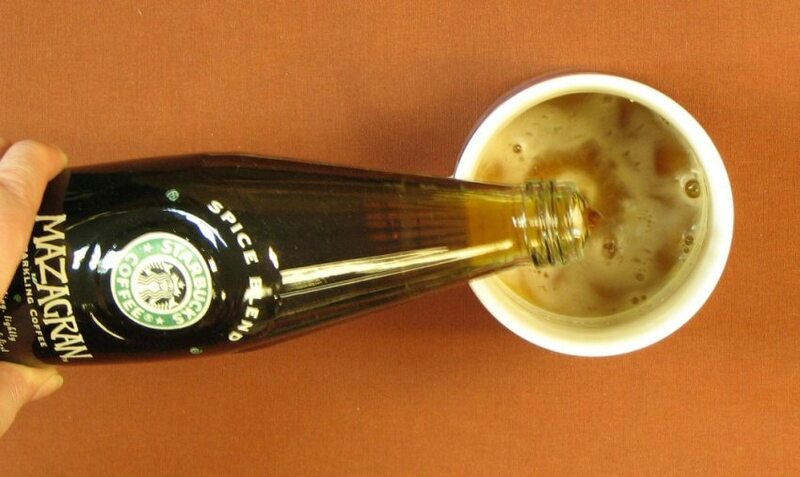 It is anyway a niche product, even in Italy where coffe is a kind of must, this one didn’t really conquered a large public, it remained limited to the south of italy, most of the people ignore his existence outside the south. 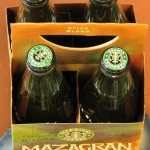 I still have a 4pack of MAZAGRAN . A friend drank the others I thought the taste was rather unimpressive. I could not figure out how the marketing people could go to all that trouble and not come up with a taste that was so iffy. Hi John! Welcome to the blog! If you look at the things that Starbucks has tested and or launched, you can see that they try all kinds of things that never make it. The beverage lineup changes often. 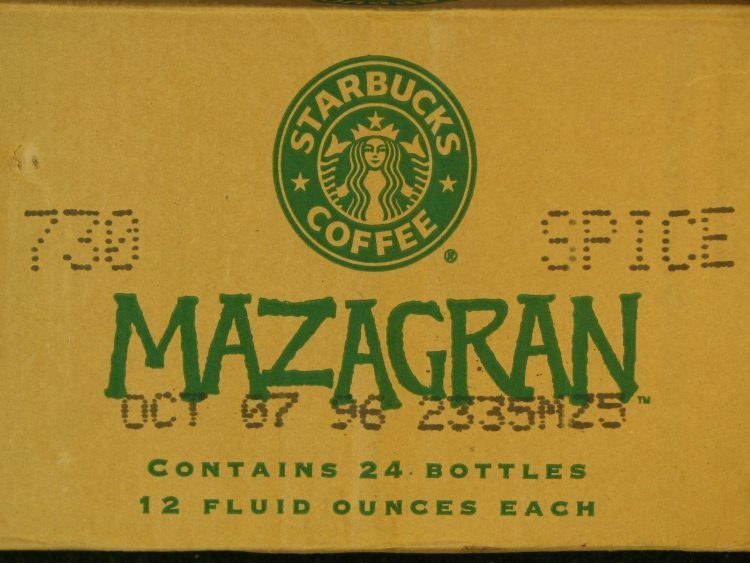 Starbucks was still pretty small when Mazagran was launched. I’d almost suggest you take a look at the “test” category on this blog to see a variety of things tried most of which didn’t make it. Actually, I was a big fan of the Mazagran. Was sorry to see it go. There is also another way to make a similar tasting drink..
Order a triple espresso on Ice in a venti iced cup. With 3 pumps of Vanilla. Add in some plain sparkling water like San Pellegrino, which most Starbucks carry. To play with the sweeteness you can add in a raw sugar or two. Tastes pretty close to original..
of espresso or dark iced coffee! Yum!!! @MattBogart – Thanks for dropping by the blog! Sorry it took so long to get back to you. 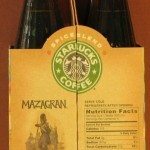 The triple ice espresso with sparkling water sounds like it would be a little sweeter than the “Spice Blend” Mazagran I featured in this blog post. I think there was more than one flavor of Mazagran, and since you recall this drink quite well, do you know the name of the other flavor? I will try the triple espresso beverage soon and report back here! My (portuguese) husband used to make mazagran in summer… Unfortunately he died years ago, and I don’t remember exactly how he made it. I know he made it in a large jar, with coffee, ice cubes, lemon and ice cold water. He probably also added sugar, but I don’t remember that. There was no fizz. 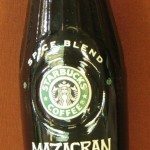 I used to love the drink on a hot summer night,, I never tried the Starbucks Mazagran. I would love to give it a try if it would still exist. 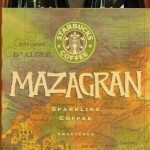 You heard right, they did have Mazagran on tap at Starbucks in California, and they sold them in 4 packs i think, maybe 6 packs in store too. My dad was a HUGE fan of the drinks to the point that when the drink was discontinued, he had me calling everywhere with hopes of purchasing one of the discontinued machines they had in the store! if there was a petition to bring the drinks back again, he’d be the first to sign and I’d be right there to follow! I think the drink was released before its time. With the rise of energy drinks and other coffee hybrids since the short lived Mazagran drink, I actually think it could have a shot at a successful revival if re-released. 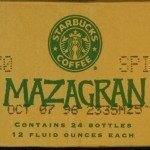 I have a few 4packs of Mazagran. 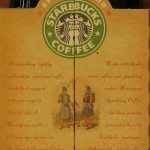 I worked for Starbucks when they were testing it out. It was 17 years ago. They had Original and Spice Blend which I still have. Does anyone know if unopened four packs are worth anything? I worked at Pepsi at the time and worked directly on the launch of Mazagran. You have it right regarding the test marketing and rollout (fountain drink in a few stores in Santa Monica). 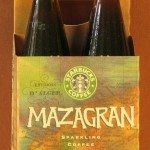 If anyone has more images of Mazagran bottles and packaging, would love to have one. I lost mine in a move a few years back. By the way, I just noticed that your blog is a SquareSpace site. 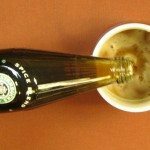 My other site – MelodyEats.Com is a SquareSpace site, but doesn’t look nearly as good as yours. Do you have a suggestion for a better template? That’s super off topic – My email is Melody at StarbucksMelody dot com, if you want to talk blogs. Thanks for the history lesson Melody!